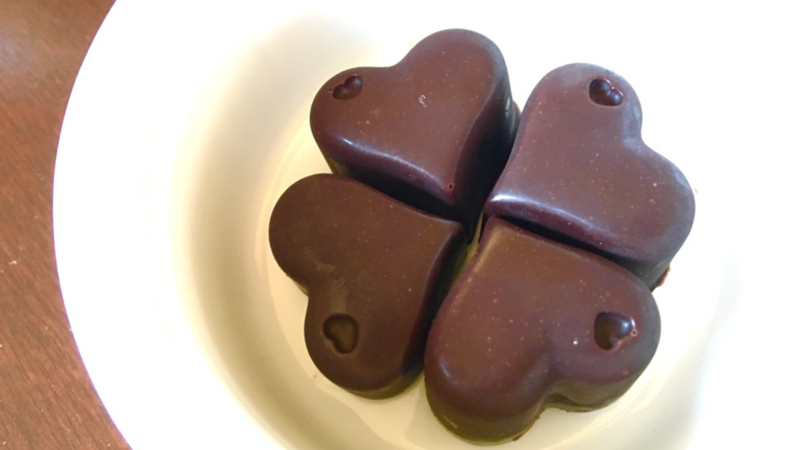 For Valentine’s Day this year I made these sweet little chocolate hearts. 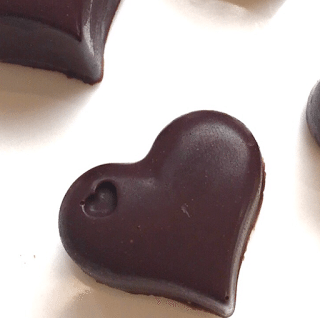 Whole food chocolate is so easy to make at home, and completely customizable. These are simple, only contain 3 ingredients, and are soy free, dairy free, and refined sugar free. Everyone has there own preference on chocolate depth and sweetness, so please experiment and find a combination that you love. I used my favorite cocoa powder in this recipe, but feel free to use superfood cacao powder to make a nutrient dense treat. You can also add a pinch of salt, cinnamon, cayenne, or instant espresso to the melted chocolate to make delicious candies. I have occasionally skipped using a mold like this, and instead poured the melted chocolate into a small baking dish, and topped it with chopped pecans and coarse sea salt before letting it set to make a delicious pecan bark. Melt cocoa butter over a double boiler until liquid. Whisk or blend with cocoa powder and coconut nectar. When smooth, pour into mold and let it set in the refrigerator for at least an hour. These keep beautifully at room temperature. Enjoy! How much pecan to make pecan bark. 1/2 cup?